As if Tom Hardy and Noomi Rapace weren’t enough to get you excited for Animal Rescue, we are now receiving word from Variety that James Gandolfini will be joining the cast, which also includes Bullhead star Matthias Schoenaerts. Directed by Michael Roskam, making his North American debut after giving us the Oscar-nominated Bullhead, the film will follow “a lonely New York bartender, caught in the midst of a bad heist and a killing, who rescues a puppy from a garbage can and becomes the target of the dog’s abusive and mentally unstable former owner.” The crime drama is being adapted by Dennis Lehane, who wrote the short story that Animal Rescue is based on. We don’t have any word yet on Gandolfini’s role but we do know that Rapace will play Nadia, a woman who crosses paths with the bartender, played by Tom Hardy. Going off the plot description above, I’d say Gandolfini will likely play the dog’s former owner, but that’s just a guess. Already this sounds like a very promising project. You have an excellent cast, lead by two of Hollywood’s most sought after talents, and a strong director and writer as well. It looks like Roskam is putting together quite the team for his North American debut and hopefully, it will pay off. As for Gandolfini, though he hasn’t quite achieved the same heights that he did as Tony Soprano since HBO’s hit show went off air, he’s still a welcome face whenever he pops up in a film and I always enjoy him as an actor, even if he does usually play the same role over and over. That of one similar to Mr. Soprano. What do you think? 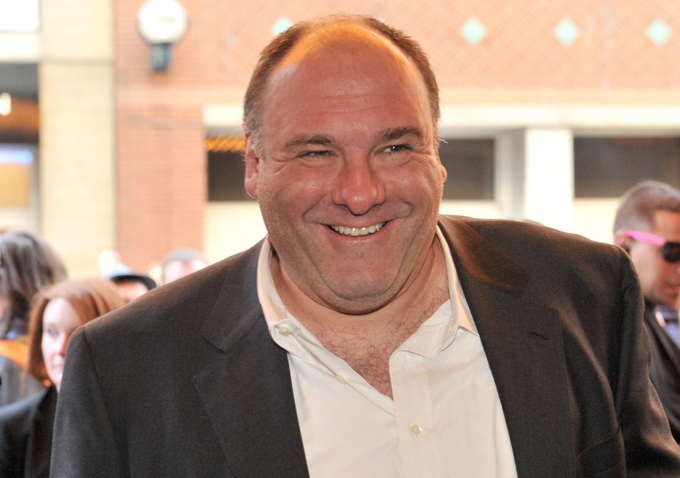 Are you happy to see Gandolfini joining Animal Rescue? What do you think of the film so far? Is it shaping up well? Let us know in the comments below.